What’s better than soccer? Bubble soccer? 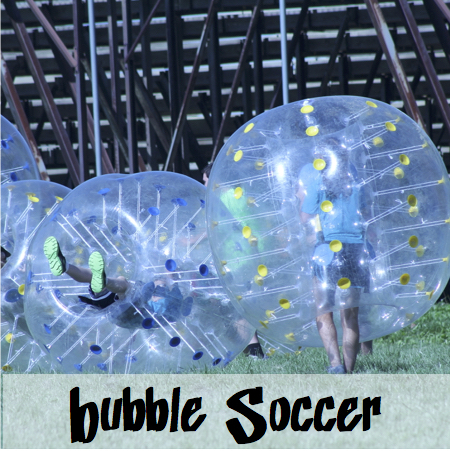 Crawl inside this huge bubble and attempt to play soccer. With the ball coming down to your knees, running is difficult. But after a while, you care less about getting the soccer ball through the goal posts, and more about knocking into other players.